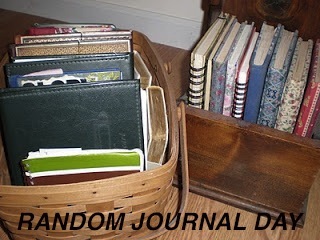 Welcome to the first Random Journal Day of 2013! Did you all crack a new journal for the New Year? My favorite thing to do after I take a journal writing break by journaling in my Thanksgiving to New Year Christmas Journal (which I keep on the computer and print out each year) is to start that new journal for the New Year. I couldn’t wait this year and I started it on Christmas Eve! I am always looking for a good journal and enjoy a variety of styles. I also love a bargain! I firmly adhere to the “One can never have too many journals.” mentality, so some times pick them up and wait for the right time to use it. My latest find is from Girl Of All Work and I got it on sale at a local gift shop. It is beautifully made and a perfect way to start my new year. I also love to glue randoms in my journal, scraps- does anyone else do that? Things like tickets, magazine snippets, quotes, and other bits of pieces. Doodles too. Never forget the doodles. But in the end, I mostly write. ..many, many words. For that is what I do. I write, therefore I am! 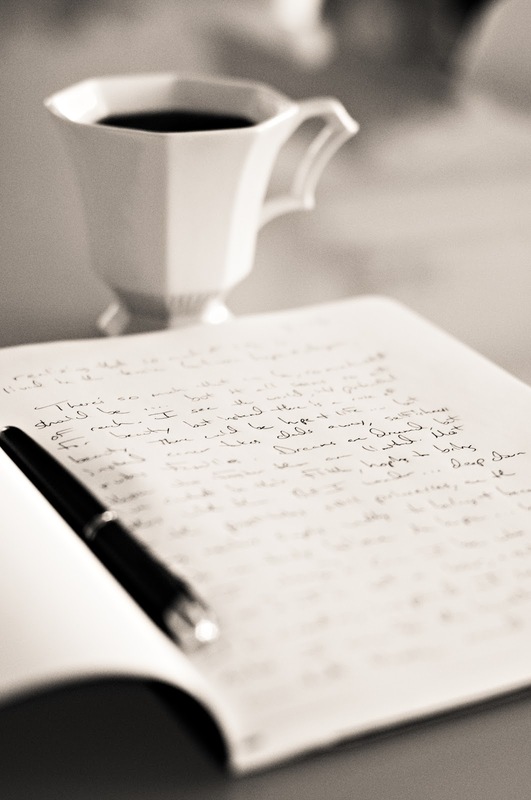 However you journal, please join in and share a snippet, a page or a piece of your creatiity with us! Creative journals and art journals are welcome as well! Writers and Artists can inspire one another onto greater creativity and inspiration! I have been missing your blog! Cool link-up! Journals are always fun to look back at.